Find below the local history books published by FamLoc. Most of these are previously out-of-print local history books that we at FamLoc have faithfully edited and made available again. Avoid cheap photocopies that are difficult to read and have poor image quality! FamLoc is the only publisher to properly republish local history books. For extracts from the books relating to a particular town or location, navigate to the town from our Home page listing, then click on the (for example) “Deptford History Books” page. We are always looking for more local history books, booklets or pamphlets we can make available to all. Maybe you know of some, or maybe you have written one or more local history books. Let us know. Avoid cheap photocopies that are difficult to read and have poor image quality! FamLoc is the only publisher to properly republish local history books. 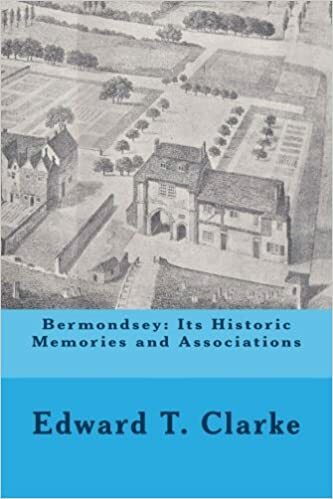 This FamLoc Edition of “Bermondsey, its Historic Memories and Associations” is a republication of Edward T. Clarke’s 1900 original. This book has much information on Bermondsey Abbey, Bermondsey House, Queen Elizabeth, and men of influence, but it must be said it has relatively little modern or social history. That said, it is a valuable introduction to the history of Bermondsey. For most of its history Bermondsey lay in the county of Surrey. In 1889 it became part of the expanding County of London. In 1900, along with Rotherhithe and a small part of Deptford, it formed part of the Metropolitan Borough of Bermondsey. In 1965 the borough became part of the London Borough of Southwark, although the district of Bermondsey still exists. There have been the inevitable changes to format and punctuation, especially regarding the many quotations, but the grammar and prose has been faithfully retained, other than changes to one or two typographical errors and the very few instances where clarity was required. This book has much information on Bermondsey Abbey, Bermondsey House, Queen Elizabeth, and men of influence, but it must be said it has relatively little modern or social history. That said, it is a valuable introduction to the history of Bermondsey. Click HERE for the option to buy. This 520 page book is packed with information, and is guaranteed to interest the reader. 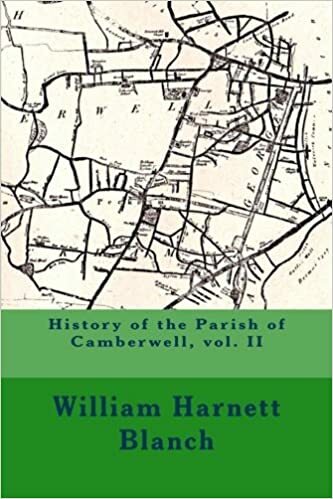 First published in 1875 as “Ye Parish of Camerwell” (note the ancient spelling), History of the Parish of Camberwell includes Peckham, Nunhead, Dulwich, East Dulwich, part of Herne Hill, and of course Camberwell itself. This FamLoc edition has been amended slightly from the original. There has been the inevitable changes to format and structure, and the illustrations have been moved to coincide better with the text. Although some of the punctuation has been changed, particularly with respect to the many quotations, the prose has been faithfully retained, other than changes to a handful of typographical errors and the very few instances where clarity was required. The footnotes of the original have been incorporated into the new Notes chapter at the end of the book, the annotated text being underlined. History of the Parish of Camberwell vol I contains more than 500 pages, and has a wealth of interesting facts and info, including the origins of the names of streets and places, geology, parochial history, churches and chapels, population, influential individuals and families, schools, transport, charities, and much more. It will be of great interest to local historians, family historians, and others with connections to Camberwell and its surrounding area. This 430 page book is packed with information, and is guaranteed to interest the reader for many months, not just for Christmas!Avoid cheap photocopies that are difficult to read and have poor image quality! FamLoc is the only publisher to properly republish local history books. This is a republication of the 1875 “Ye Parish of Camerwell” (note the ancient spelling). The Parish of Camberwell was comprised of Dulwich, Peckham, Peckham Rye, Nunhead, part of Herne Hill, and of course Camberwell itself. It lay in the county of Surrey until 1889, when it became a borough in the County of London. This FamLoc edition has been amended slightly from the original. There has been the inevitable changes to format, and the illustrations have been moved to coincide better with the text. Although some of the punctuation has been changed, the grammar and prose has been faithfully retained, other than changes to a handful of typographical errors and the very few instances where clarity was required. The footnotes of the original have been incorporated into the new Notes chapter at the end of the book, the annotated text being underlined. 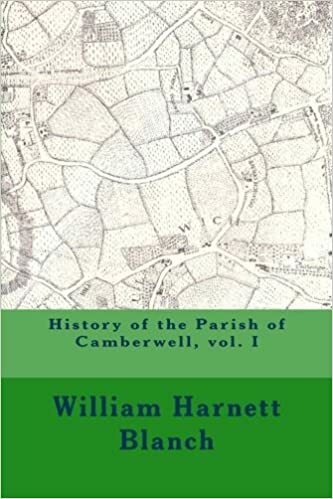 History of the Parish of Camberwell vol II consists of 430 pages and 43 images. It includes chapters on public houses, buildings of the past, manorial history, local places and their associations, literary associations, and Dulwich College. It will be of great interest to local historians, family historians, and others with connections to the Camberwell district.This book covers Dulwich, Nunhead, Peckham, as well as Camberwell, and was originally published in 1875 under the title “Ye Parish of Camerwell,” (note the ancient spelling). Click HERE for more info, including the option to buy. 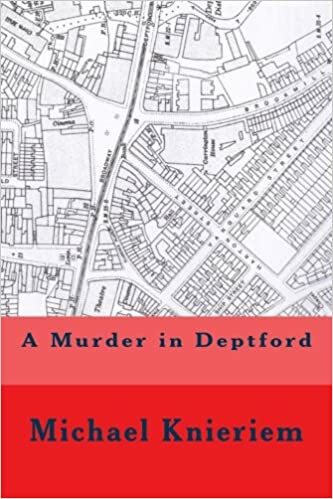 “History of Deptford” covers the old Parish of Deptford, which included New Cross and part of Brockley. Originally published in 1884, this FamLoc edition has made changes to format and punctuation, but the prose has been faithfully retained, other than changes to a handful of typographical errors and the very few instances where clarity was required. 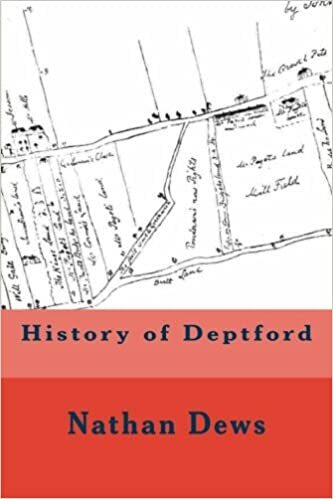 Deptford is steeped in history, and this new edition of Dews’ “History of Deptford” is invaluable for family historians, local historians, as well as those with Deptford connections who wish to know more about the town and its surrounding area. First published in 1909, The Story of Royal Eltham is almost 600 pages of invaluable information for the local historian and family historian. This FamLoc edition has been fully re-edited and reformatted to retain quality (beware of some “publishers” who merely photocopy the source material). 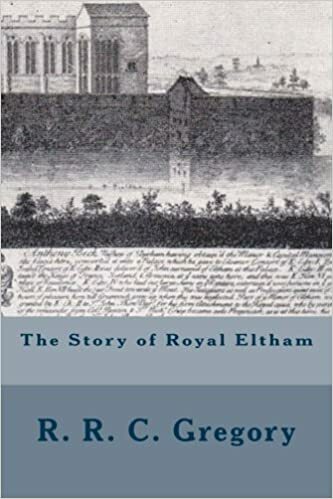 The Story of Royal Eltham is much more than about royalty; within can be found much information on churches, people of note, old buildings and landmarks, street names, charities, and much more. Old and New Vol. II is over 500 pages, and includes 171 illustrations. This 570 page book is packed with information, and is guaranteed to interest the reader. 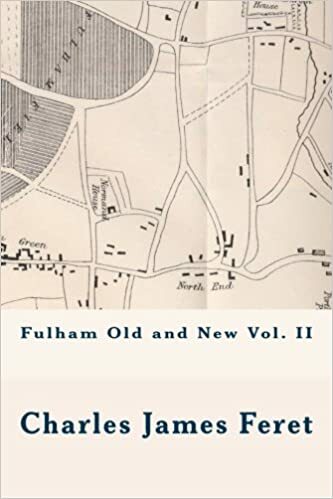 Originally published in 1900, this FamLoc Edition of Fulham Old and New (Volume I) has been republished, with just a small number of changes to the format, and made available for all those who are interested in the history of Fulham, or have Fulham ancestors and wish to know more about the place in which their ancestors lived. There is a wealth of history here, and many, many names of residents from all walks of life are included. There are 127 photographs and illustrations. 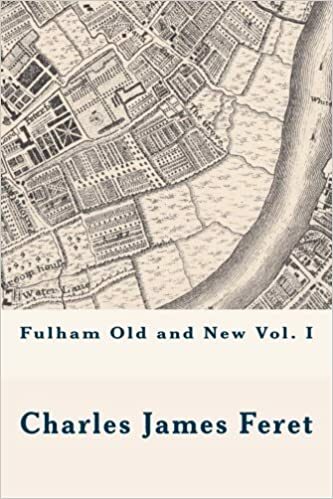 This second volume of Fulham Old and New, originally published in 1900, is over 500 pages, and includes 171 illustrations. Chapters on Walham Green and Parson’s Green are also included. Note this is a proper re-publication of the original, and not merely a cheap photo-copy that some “publishers” are selling. Fulham Old and New will be of great interest to those who value local history for its own sake, as well as for those who have ancestors who lived in Fulham, and wish to find out more about the place in which their ancestor lived and worked. Click HERE for more information, including the option to buy. 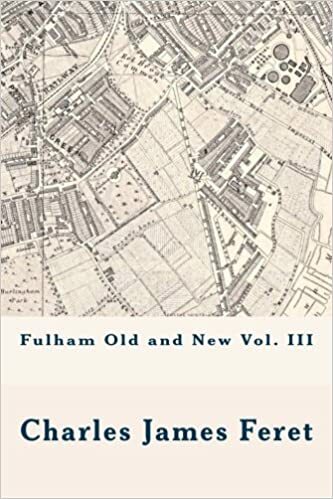 This third volume of Fulham Old and New consists of a whopping 537 pages and includes more than 204 illustrations, most of which are photographs. Fulham Fields and the Roads Across Them Chapters include: Fulham Palace Road, Crabtree, Fulham Palace, The Bishops of London, Suppression of the Bishopric, Bishop’s Park, Millbank, Hurlingham, Broomhouse, Town Meadows, and Sands End. As with the previous two volumes, it has been extremely well researched, and is invaluable to the local historian and family historian, as well as being of interest to the general reader. Records of Hampstead, or “Records of the Manor, Parish, and Borough of Hampstead,” to give the full title, was first published in 1890. This FamLoc Edition has been modified only slightly from F. E. Baines’ original; the prose has been retained, other than the correction of a handful of typos, and there has been a small number of changes to the punctuation. 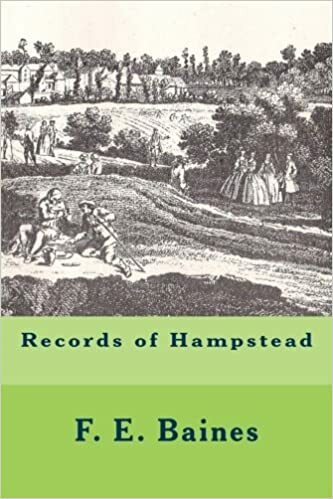 Records of Hampstead is just under 500 pages packed with a huge variety of information on Hampstead, and will be of interest to the local historian as well as the family historian. There are also 50 illustrations. 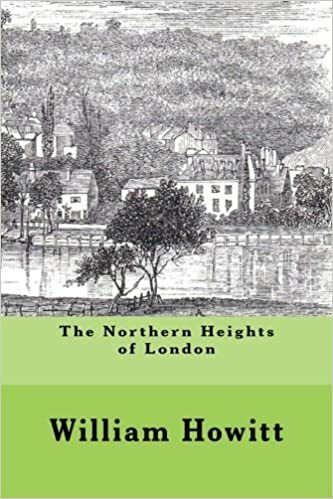 The Northern Heights of London, first published in 1869, covers Hampstead, Highgate, Islington, Muswell Hill and Hornsey. For this FamLoc Edition there have been some inevitable changes to format, especially regarding the quotations, although the prose has been faithfully retained, other than changes to one or two typographical errors, and where clarity is required. It is over 500 pages, packed with information on the geography, people and events, and also includes 40 line drawings from photographs. This book is a valuable resource for local historians and family historians. 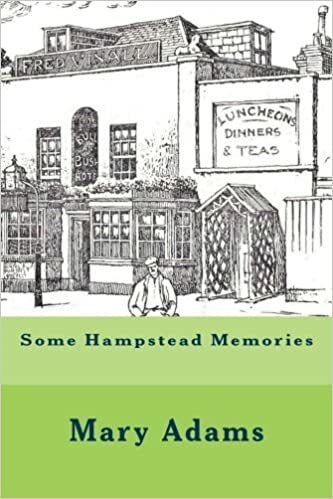 Some Hampstead Memories was first published in 1909, and although very slim, has some qualities, not least the illustrations by Frederick Adcock. It is not a personal memory book; rather, it is a short reminisce through some of the various famous residents, such as Keats, Shelley, and Leigh Hunt – along with extracts of poetry. There is also information on Jack Straw’s Castle and the Spaniards Inn. There are 16 illustrations. This FamLoc Edition has been modified only slightly from Mary Adams’ original. There has been the inevitable changes to format, and the illustrations have been moved to coincide better with the relevant text. The grammar and prose, however, has been faithfully retained, other than changes to a handful of typographical errors. The footnotes of the original have been incorporated into the new Notes to Text chapter at the end of the book, the annotated text being underlined. This will prove to be a valuable addition to the other Hampstead books we at FamLoc have published. 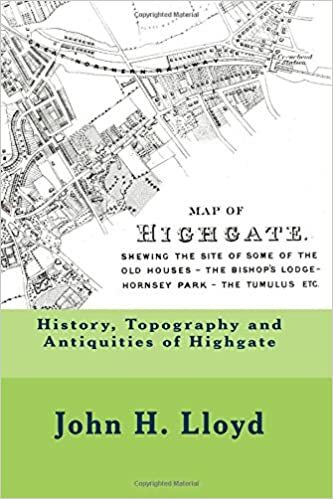 History, Topography and Antiquities of Highgate, by John H. Lloyd was first published in 1888. It covers Highgate and also has notes on Crouch End, Muswell Hill and Hornsey. This FamLoc edition is a faithful republication, retaining the original prose, other than correcting a handful of typos. The format has been changed, especially the quotations, which have been indented as with modern usage. We at FamLoc think this is an excellent book, giving many, many hours of enjoyment for those interested in local history or family history – and for those who are lucky enough to live in Highgate and want to know more about the area. Old Kew, Chiswick and Kensington, by Lloyd Sanders. Old Kew, Chiswick and Kensington was originally published in 1910. This FamLoc Edition is a faithful re-publication, preserving Lloyd Sanders original text. There have, however, been the necessary changes to format, and a very small number of corrections to typographical errors. 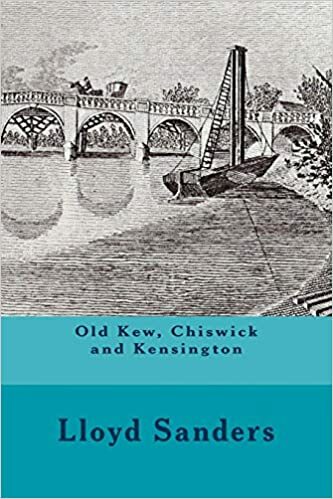 Old Kew, Chiswick and Kensington contains 250 pages packed with information, plus sixteen illustrations. It will be of interest to local historians, family historians, as well as those who want to find out more about the area in which they live. Avoid cheap photocopies that are difficult to read and have poor image quality! FamLoc is the only publisher to properly republish local history books. 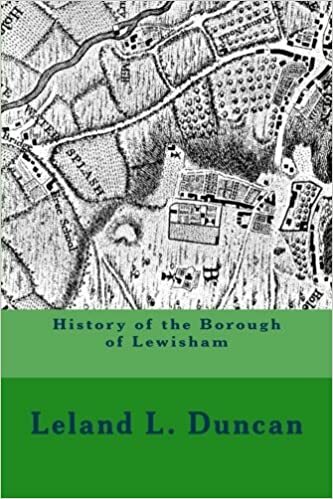 “History of the Borough of Lewisham,” first published in 1908, covers the geographic area of what was then the Metropolitan Borough of Lewisham, formed in 1900, and includes Lewisham, Lee, Catford, Hither Green, Forest Hill, Bellingham, Rushey Green, Southend, Honor Oak, part of Blackheath, part of Brockley, and part of Sydenham. It is a history of those places, and not a history of the borough. The book covers the history from ancient times up to 1908. It is rich in the origins of street names and places, and includes much information on churches, topography, notable events, people of influence, and much more. 73 excellent photographs and illustrations are included, making it invaluable for the local historian, family historian, and others with a connection to the places mentioned. This FamLoc edition is a slight modification. The images have been moved to better coincide with the text, and there have been changes to format and punctuation. However, the grammar and prose has been faithfully retained, other than changes to a handful of typographical errors and the very few instances where clarity was required. This 570 page book is packed with information, and is guaranteed to interest the reader. This 620 page book is packed with information, and is guaranteed to interest the reader for many months, not just for Christmas! Avoid cheap photocopies that are difficult to read and have poor image quality! FamLoc is the only publisher to properly republish local history books. Originally published in 1890, this FamLoc edition is a slight modification. The images have been moved to better coincide with the text, and there have been changes to format and punctuation. However, the grammar and prose has been faithfully retained, other than changes to a handful of typographical errors and the very few instances where clarity was required. 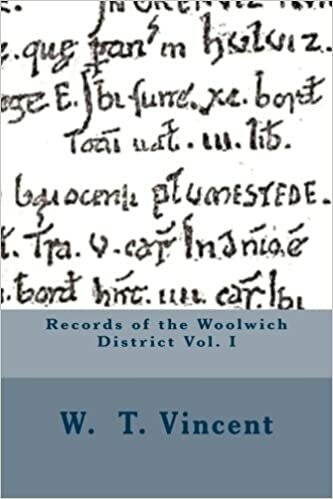 “Records of the Woolwich District vol. II” covers Abbey Wood, Bexley, Charlton, Eltham, Erith, Kidbrook, North Woolwich, Plumstead, Shooters Hill, Welling, and Wickham, as well as additional topics on Woolwich. It includes over 200 illustrations, plus 45 photographic portraits of local men of influence. 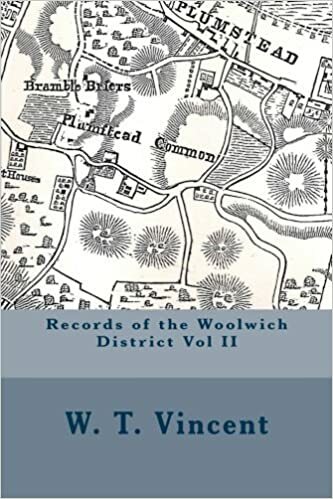 The book includes many old maps, is rich in the main institutions of churches, schools, charities and industries, and also includes topography, and notable events, making it invaluable for the local historian, family historian, and others with connections to the area around Woolwich. 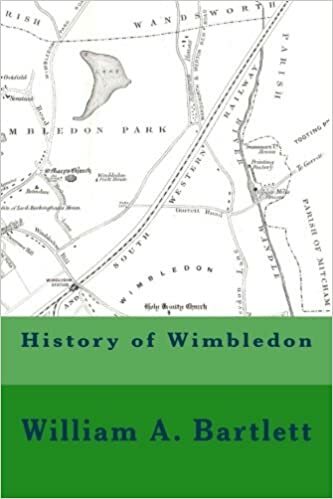 History of Wimbledon, or “The History and Antiquities of the Parish of Wimbledon,” to give the full original title, was originally published in 1865. This FamLoc Edition is a true re-publication (rather than merely a facsimile that some “publishers” issue). The prose has been faithfully retained, other than changes to a very few typographical errors and where clarity is required. The many footnotes of the original have been either incorporated into the main text or added as endnotes to the relevant chapter. For most of its history Wimbledon lay in the County of Surrey, but, with the expansion of Greater London, it now forms part of the London Borough of Merton. This is an excellent book, 200 pages packed with detailed information, and will be of great interest to the local historian and family historian. Is the Gregory book on Eltham anywhere in your publishing pipeline? We are editing three excellent Fulham books at present, but the Gregory book on Eltham is a good one for the future. Thanks for the info. We have had a look at the website, and the “book” is just about readable. We will shortly be adding it to our re-published books list. A street door of our own.A short history of an LCD estate(Honour Oak Estate,Brockley,S.E.4.